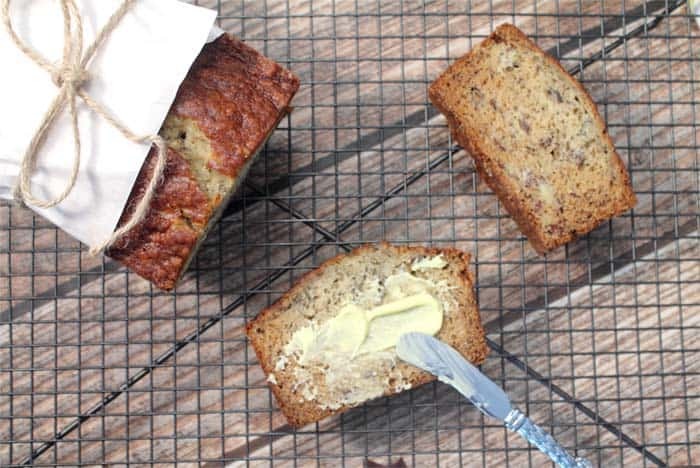 Quick breads are so delicious and so easy to make and nothing beats the taste of a warm homemade banana bread. 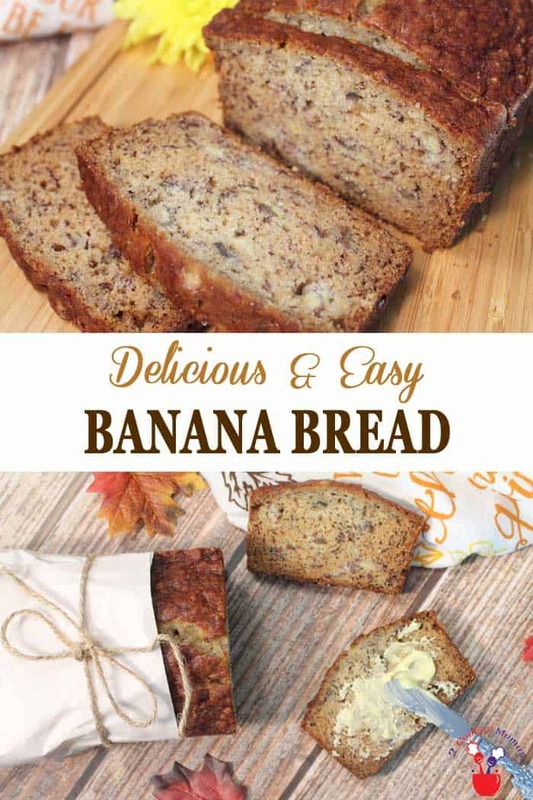 This easy banana bread recipe has been a family favorite now for over 50 years! I sure hope you like bananas because this post has everything to do with that delicious fruit. Why? My banana trees are back at it and producing some of the largest bunches of bananas I’ve had in a while. When that happens I need to put my banana thinking cap on and come up with 5 or 6 banana recipes so I can make use of all that yummy home-grown produce. The problem is they all ripen at once, all 100+ of them! Yikes! So I give tons away to neighbors, freeze up slices for my smoothies and bake with the rest of them. I definitely don’t want to waste them. Bananas off of our trees taste much more tropical than the ones you can purchase in the store so I want to use every last one before they go bad. And bananas are so good for you! Bananas have been pre-packaged by nature to give you a convenient snack to carry with you and contain all sorts of vitamins and minerals to keep you healthy. I’ve got several banana recipes coming your way over the next few weeks. I bet that surprised you! 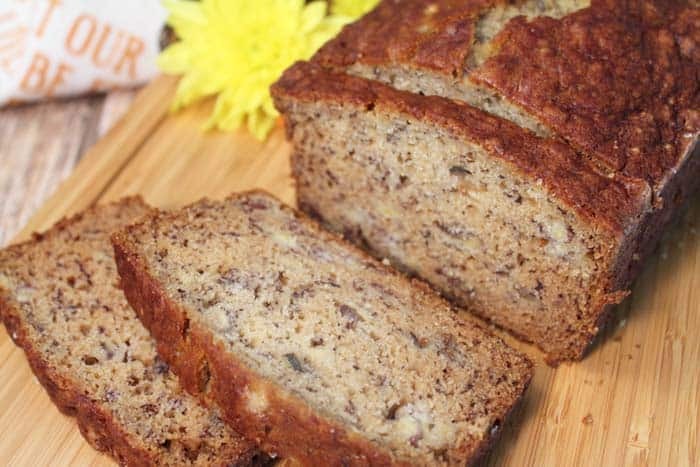 lol Today I’m sharing my famous, well at least with my family & friends, easy banana bread that is also included in our 1st cookbook, The Pregnancy Cookbook. By the way, our cookbook is not just for pregnant women either but anyone that wants to follow a heart healthy diet. 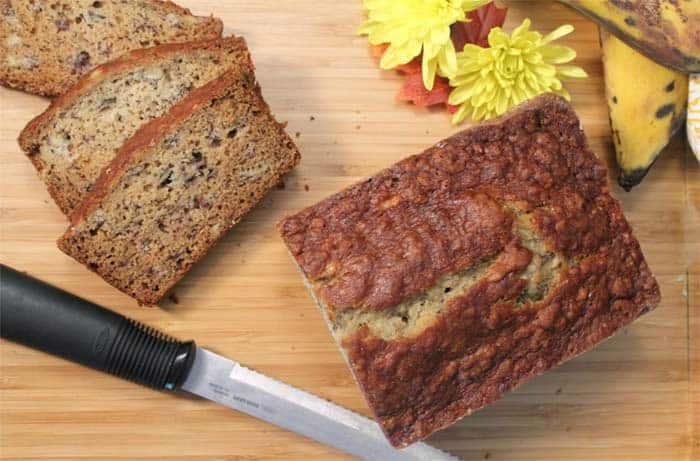 I’ve been making this easy banana bread for close to 50 years now and I don’t think I’ll ever get tired of it. I can even remember back to the first time I made it as a young girl in girl scouts. Everyone in my family asked for the recipe and they’ve been making it just as long as I have. 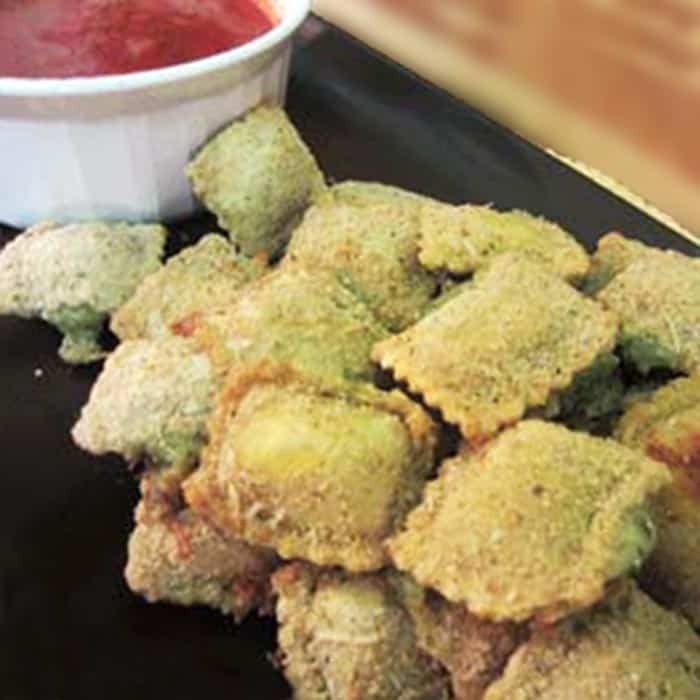 It’s a simple recipe, just about foolproof, and comes out delicious every time. 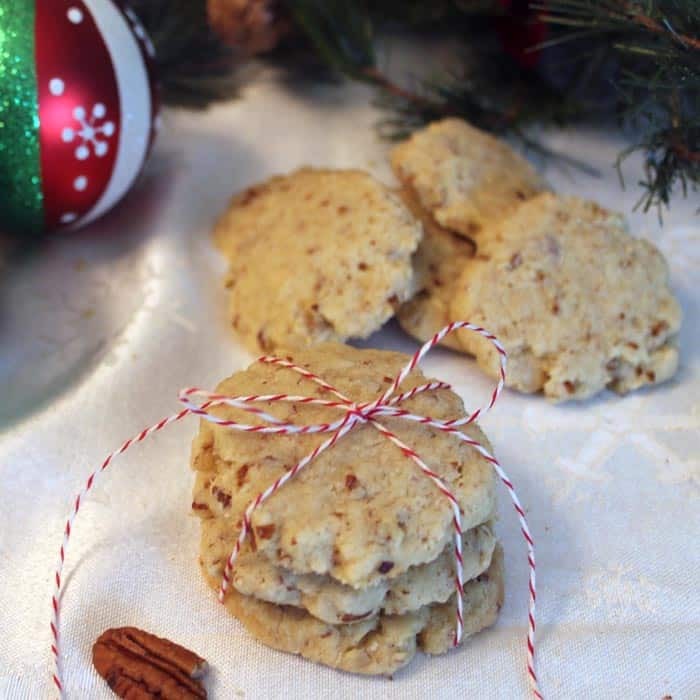 It can be served plain, with honey butter (recipe in notes below), cream cheese frosting or even peanut butter frosting. 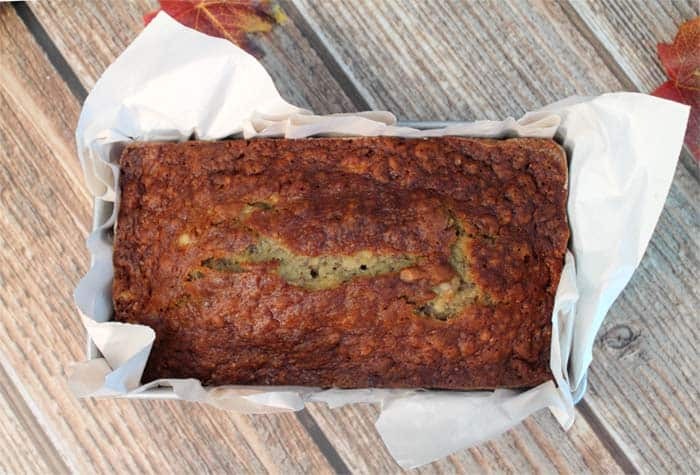 Have overripe bananas? 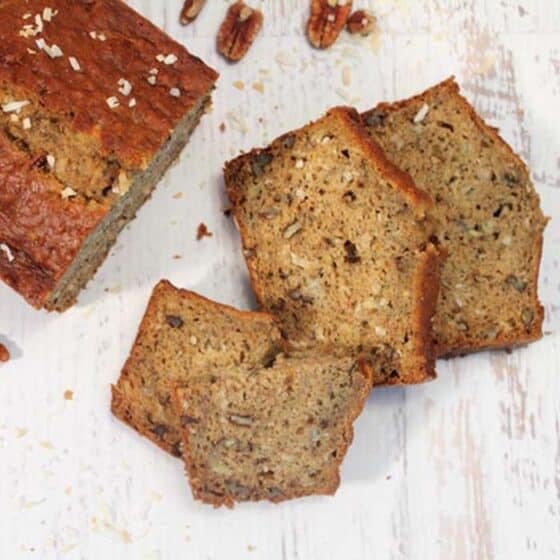 Make this easy banana bread that goes together quickly & bakes up moist & flavorful. Serve warm with honey butter. Preheat oven to 350 degrees. Grease & flour a 9x5x3-inch loaf pan. Cream sugar and shortening in a medium bowl. This can be done by hand with a potato masher or a fork. Add eggs and mix well. Add ripe bananas and stir. In another bowl, combine flour, baking soda and salt. Add to wet ingredients. Stirring until well incorporated. Pour into prepared pan and bake for 60-75 minutes or until toothpick in center comes out clean. Check after first 30 minutes to make sure top is not getting overly brown. If so, tent with aluminum foil until done. Remove from oven and let cool in pan on wire rack for 10-15 minutes. Remove loaf from pan. Place on wire rack and let cool completely. 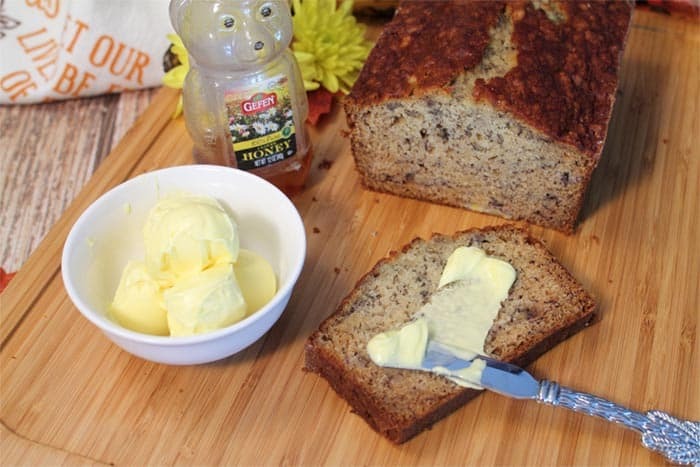 Honey Butter: Beat together 1/2 cup butter & 1/4 cup honey. To make Honey Cinnamon Butter add 1/4 teaspoon cinnamon & 1/4 teaspoon vanilla extract to the mix. 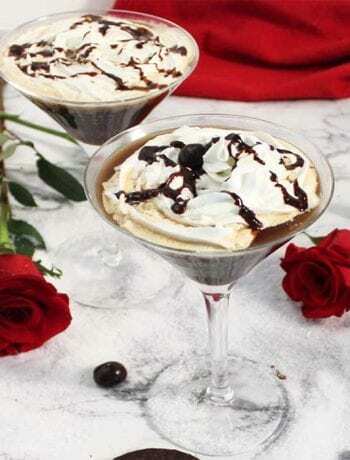 Serve at room temperature. Want more banana recipes? 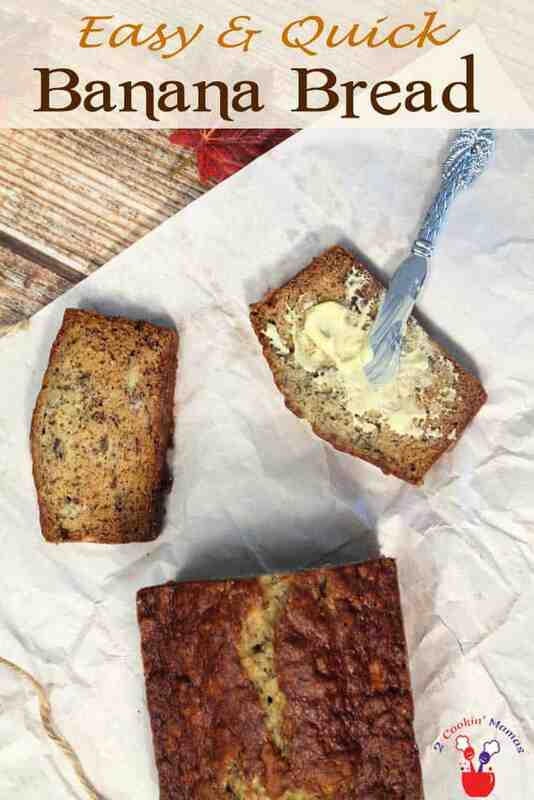 Check out our Double Chocolate Banana Bread, Banana Nut Granola and our Banana Upside Down Cake.